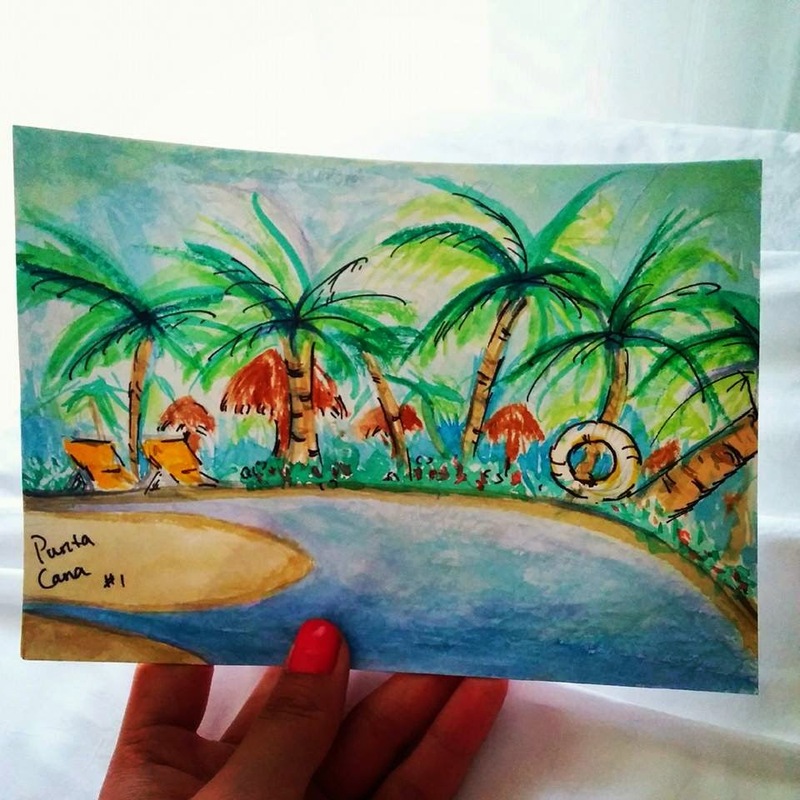 My very first sketch during vacation in Punta Cana DR. I used watercolor kit and Sharpie fine point. It was definitely different than painting off a picture. I was laying down by the pool w/ very limited area to position my palette, water, etc. But somehow I felt... free, lines and color didn't have to be exact match to "pictures". Btw, hello, my name is Sherry, I will be meeting all of you for the first time this Sat. Excellent - Welcome Sherry. Thanks for sharing. Looking forward to seeing you on Saturday at the George Washington Bridge event. Thanks for sharing a bit of your vacation with us. Nice poolside sketch!!! Hope to see you on Saturday.